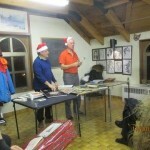 Last winter L’Atelier de Peinture de Lachine held their annual holiday fundraising auction where they sold books, canvases and all types of art materials to the highest bidders. 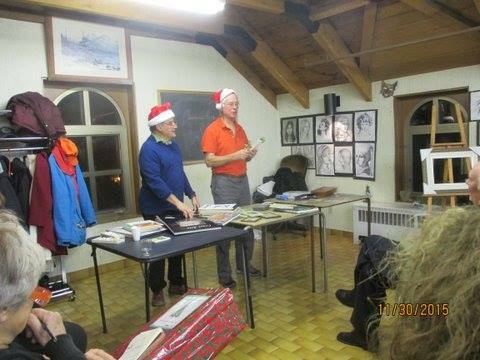 Auctioneers Robert Brown and Guy Vallières did the honours and the group raised a total of $725 for the Palliative Care Unit at the Lachine Hospital. If you are interested in organizing an event on behalf of the Lachine Hospital Foundation please contact Dessi Nikolova at 514 637-2351 ext. 77333.